Yesteryear actress Madhubala is the latest celebrity to join the Bollywood brigade at Madame Tussauds, which is scheduled to open later this year. 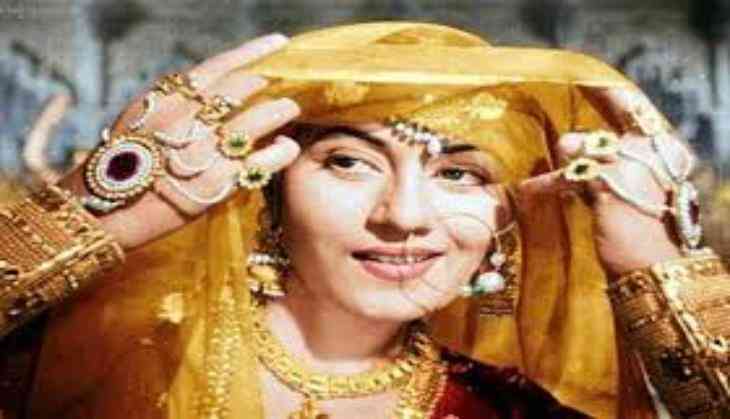 The actress' wax figure will be styled based on her iconic character Anarkali from the classic film "Mughal-E- Azam". Madhubala, one of the leading actresses from Hindi cinema's golden era, appeared in classics like "Chalti Ka Naam Gaadi", "Mr. & Mrs. '55", "Kala Paani", and "Howrah Bridge", during her brief lifetime, becoming one of the highly regarded personalities in the industry. "We are glad to have the figure of Madhubala at Madame Tussauds Delhi. She continues to rule the hearts of billions of fans in the nation. "We are sure that her magnetic beauty will attract her fans to click a selfie and relive a special moment with her and be transported back to the golden era of cinema," Anshul Jain, General Manager and Director Merlin Entertainments India Pvt Ltd, said. Madhubala's beauty was recognized globally when she was featured in one of the popular American Magazine's - Theatre Arts in 1952. To honour her, a commemorative postage stamp featuring Madhubala was issued by the Indian Post in 2008. Other Bollywood stars who will have their wax figures at the museum to be housed in the iconic Regal Building, include Amitabh Bachchan and Shah Rukh Khan, along with singers Shreya Ghoshal and Asha Bhonsle.